S.P. Interiors is the Okanagan Valley’s premiere interior design business; selling Draperies, Blinds, Shutters, and Upholstery. Our family has been doing this for over 40 years. All of our creations and installations are in-house. Our installer is a Director of the company - we take pride in each and every job we do. We determine your needs, provide all the options available, explain the pros and cons to said - allowing you to make an educated decision. Design – Design consultation services are available from S.P. Interiors. From one room to an entire home, we can facilitate the look you want while staying within your budget. One of our professional consultants will take measurements, fabricate the selected designs and perform the installation. Sarah Prokop helped clients with interior design advice from 1978 to 2017. Her steadfast commitment to quality and detail on every job is our mantra. Need upholstery and re-upholstery work ? S. P. Interiors works with the best family upholsterers we've dealt with in 40 years. S.P. Interiors offers one of the widest selections of window coverings in modern and classic styles, along with extensive fabric selections from famous designers. 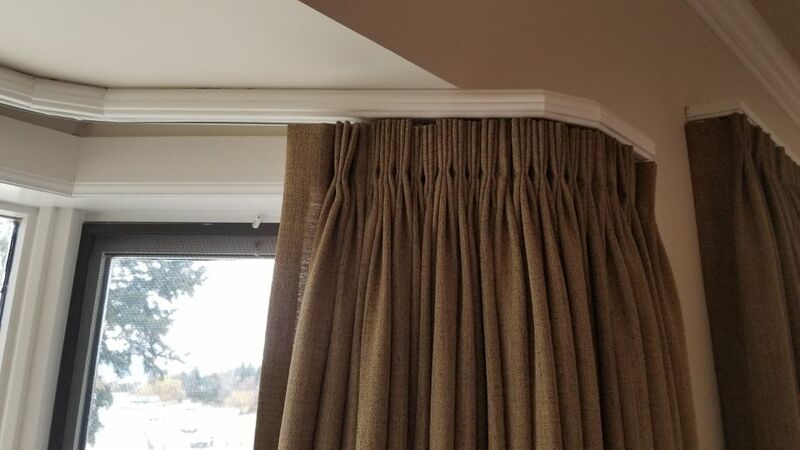 From draperies and curtains, to traditional and motorized blinds, to professional cleaning and re-hanging of pinch pleated and spring pleated draperies and valances, you’ll find the finest in window fashions at S.P. Interiors. Stop in our showroom or call us at 250-763-8644 to receive a free design consultation. The Prokop family has roots in the Okanagan since 1977. We live here and we love it here. In the past decade we have volunteered thousands of hours to local events. Specifically the last 4 years we have sponsored and volunteered ~350 hours per year for the Okanagan Bike Race Clubs 36 annual events ( 40 for 2019 ! ). Go to https://okanaganbikerace.ca/sp-interiors-time-tria... to see more. Cyclists from 10 years old to 81 years young challenge themselves and grow in our 3 discipline events. Truly a family series. Besides the road racing volunteer commitments - directors of S.P. Interiors voly hundreds of hours every year in the Myra Bellevue Provincial Park. There is a void of organized trail mitigation for the 78 hectare park - so we do our best in and average 24 annual trail sessions to clear dead tree blowdowns and widen trails of scrub brush. Walkers, Runners, Bikers, Equestrian peoples, and the wildlife benefit from our making trails safe. S.P. Interiors is proud to be a manufacturer & supplier of Spring Crest hardware.